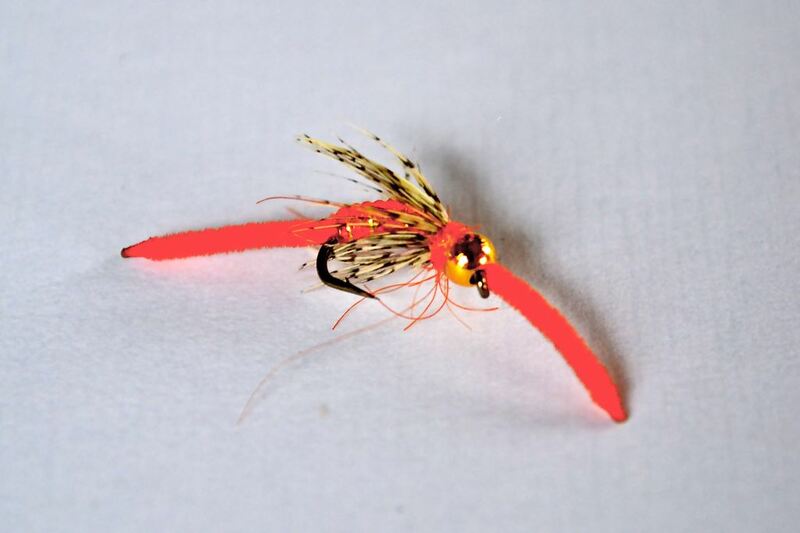 Purists may hate me for saying this, but I love using worm flies. Why? Because they just catch fish. I’ve taken most of my biggest trout on worms flies, and they always seem to bring in trout on days when nothing else seems to work. Places to use them? Swift, Swift, Swift… for some reason the trout at the Swift love worm flies more than any other trout I’ve witnessed. I don’t know why, but they do. Using a good variety is a good move, as usually a fly they’ve never seen before gets it done. Other places? Nissitissit, Squannacook. My best days at these rivers have been with good ol’ San Juan Worms. I once landed almost 100 trout in one day on the Niss using nothing but them in purple (a good choice for here…). To be fair, that was right after the stocking (like literally, I was there as they dumped them in), but still. And the Millers, Deerfield, and so on. You will catch fish everywhere with worm flies. behind the spawning brookies. Need I say more…? Medusa. Weird looking fly, but gets bit like crazy! I have those worms, in all sorts of colors, filling a box… a box that I always have on me. Pick up a few, tie up a few, and give them a chance next time you’re out!